In a lot of ways, a company’s employer brand is like a meme. Everyone likes a relatable, fun one, but one that is outdated and boring just annoys people. And if it’s something everyone has seen a million times before, they aren’t going to connect with it. There are countless things that contribute to your employer brand. Everything from the wording in your job descriptions to your social media presence affects what talent thinks about your company as a place to work. For example, a 2015 report by LinkedIn found that 83 percent of job seekers would change their mind about a company after a terrible interview experience. A strong employer brand speaks to talent and helps them relate to the organization. It makes the company stand out in a sea of job listings. And even better, a fantastic employer brand does all the hard recruiting work for you by bringing the talent to you. But if you want to be certain that your employer brand is doing its job and attracting the best talent, you need to truly understand how job seekers are interacting with and interpreting that brand throughout the hiring process. Otherwise, it’s as worthless as a terrible internet cliche. 1. It’s too focused on hard skills. The job description is typically the first glimpse job seekers get of your employer brand. And if it is worded in the wrong way, it might be the last. For instance, including the required skills of a position in a job listing is important in order to let job seekers know what the job entails. But if the description has a mile-long list of technical skills, it immediately limits the candidates you’ll receive. 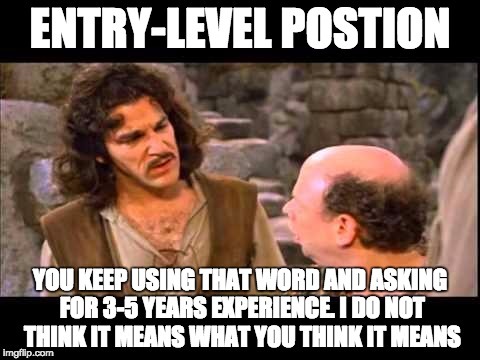 Not to mention that asking for up to five years of experience for entry-level positions makes you seem ridiculously unreasonable. The truth of the matter is that, for many employers, a candidate being slightly underqualified isn’t a deal breaker (at least, it shouldn’t be). A CareerBuilder survey found that 42 percent of employers would still consider a job seeker who didn’t meet all the listed requirements. But unless you let candidates know that early on in the hiring process, they completely remove themselves the running. If you want job seekers to interact with your employer brand beyond the job description, you need to include realistic expectations about the position. Also, be sure to feature the training and career development opportunities you offer. That way, you won’t miss out on job seekers who still have more to learn. As long as you focus on cultural fit, candidates’ excitement about the organization, and having the majority of the required skills you’ll find the right person for the job. 2. 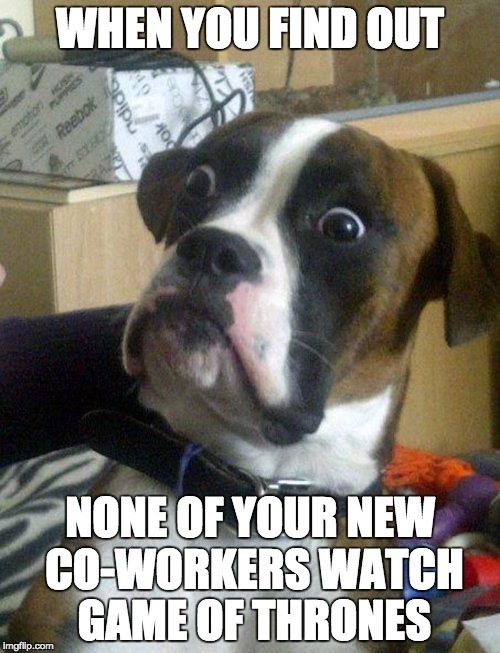 It’s doesn’t introduce future co-workers. Who we work with matters. Nobody likes to go into work every day feeling like they don’t fit in or that those around them don’t support them. Co-workers are a huge part of how well we perform and how well we connect with the company. In fact, a 2015 Virgin Pulse survey found that 66 percent of employees feel that their colleagues at work improve their productivity and focus. What’s more, 40 percent of employees said their co-workers were what they loved most about their company. Yet, job seekers aren’t given the chance to experience that important aspect of the job until after they accept the offer. The 2015 CareerBuilder Candidate Behavior Study found that just 15 percent of job seekers had spent time with the current staff during an interview process. The other 85 percent had to either take their chances and wait until after being hired or track down possible co-workers on sites like LinkedIn to find out what they’re like. Make it easier for candidates to meet and get to know who they’d be working with if they’re offered a job. Give them the chance to sit down with current employees — either in person, or via a video chat — and ask them questions about the team. Encourage your employees to explain how the department and project teams work together, what interests they all have, and even what jokes they share. After receiving a first-hand account of what the other employees are like, candidates will get a clearer picture of what they’re signing up for. 3. It doesn’t take advantage of social media. Most organizations have figured out how social media can be used to create buzz about its products and services. But what about engaging potential employees? A survey by the Pew Research Center found that 35 percent of social media users have used social platforms during their job search. They turn to Facebook, Twitter, and even Instagram to research companies they might be interested in working for. 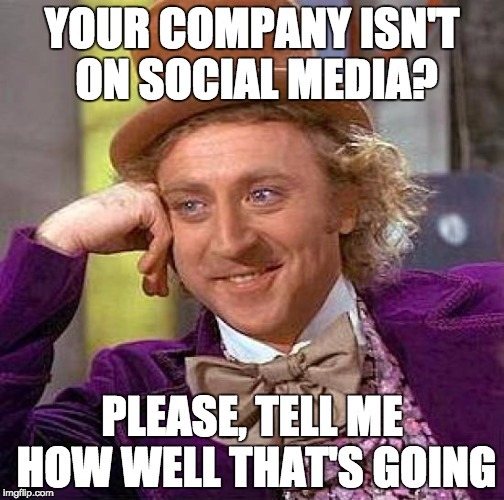 However, if your social media page is nothing but posts about your product updates, it sends the message that all you care about is sales and the bottom line. Job seekers want to know that your company is well-respected in the industry. Sharing posts from the organization’s blog or other insightful articles helps establish you as a worthwhile employer to work for. And don’t forget that, by interacting with other people’s posts and with professional groups, your employer brand gets shared and seen by more and more people. It’s also important to share your appreciation and recognition for current employees on social media. Tweeting about their personal success or posting about an impressive team project shows job seekers that you acknowledge hard work, and that you care about your employees. And to take things one step further, encourage current employees to act as employer brand ambassadors on social media. They can share their stories about why they love the company on the organization’s various profiles. Or have a designated day for them to share — like ‘Why I Love Work Wednesday’ — or create a hashtag for their testimonials (e.g. #Lifeat______). You can also post job openings on social media so that people who love and believe in your company, namely your followers, will pass on those opportunities to people they know. That will widen your candidate pool in an organic way by connecting you with more talent. A 2015 Glassdoor report found it takes, on average, 22.9 days for candidates to make it all the way through the interview process. Now, before you say that sounds reasonable, consider this: in 2010 the average length of the process was 12.6 days. In just five years, we started demanding almost twice as much time from job seekers. And we started wasting time of our own. A lot can happen in 22.9 days. Frontrunner candidates can accept offers from another company. They can lose interest in your company because you’re stringing them along. Or they can just get bored with the entire process. The bottom line is the longer you wait to make a decision about who to hire, the higher the risk of losing top talent. A lengthy hiring process also shows little respect for candidates’ time. 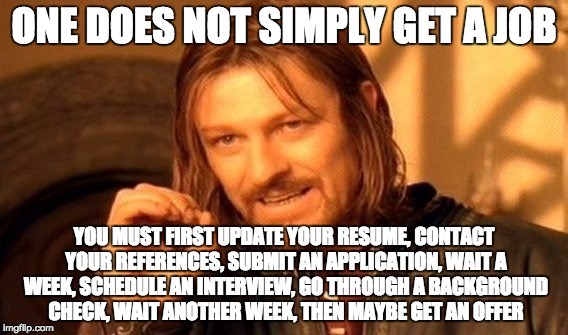 It requires them to jump through multiple hoops, like filling out applications, taking skills test, and going through several interviews. If they don’t get an offer, it seems like it was all for naught. And no one likes to have their time wasted. If you want to keep rejected candidates from spreading negative comments about your interview process, it’s time to start showing consideration for their time. Take a long look at all the screens that are part of your process and ask yourself if they’re all really necessary. Are there any steps that are basically assessing the same things? Are there screens that consistently let bad candidates through to the next stage? By revisiting the entire process you might be surprise how much time can be saved for both you and job seekers. If you absolutely can’t remove any steps of the hiring process, there are other ways to make the candidates’ experiences better. For instance, one-way video interviews allow job seekers to choose when and where they want to record their interview. They can find the best time in their schedule and not be overly inconvenienced by traveling to the office for multiple in-person interviews. 5. 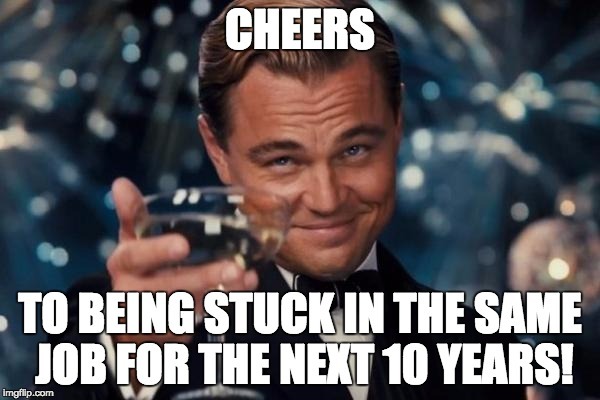 It doesn’t go after passive job seekers. If you’re only sending your employer branding message out to active job seekers, then you’re missing out on a lot of talent. The previously mentioned LinkedIn survey found that 70 percent of job seekers are only passively looking for jobs.That means they’re not on the job boards everyday or spending hours updating and sending out their resume. They’ve just waiting to see if anything of interest comes their way. 70% of #jobseekers are only passively looking (@LinkedIn). How are you going after that talent? Perhaps they’re waiting for an employer to reach out via Linkedin or casually mention to their friends to send any interesting job openings their way. The point is, the chance of them finding you is slim unless you’re actively seeking them out. If you have a company newsletter, include a link to your career site and current positions. Odds are that someone on your email list is thinking about finding a new job. Another option is to reach out to former candidates who decided to decline your original job offer. After some time with another company, maybe they’ve realized you were the right choice after all. You can also build a strong employee referral program that draws on their professional and personal network. Whenever there’s a new opening, they can send out feelers to talented professionals they know to see who is interested. 6. It doesn’t include the future. A lot of employers are frustrated by job hoppers or other employees who only seem to stick around for a short time. Maybe the reason these employees aren’t in it for the long haul is because your employer brand doesn’t mention what the future holds for them. Another 2015 survey from LinkedIn found that 59 percent of job seekers chose their new job because it offered a stronger career path than their previous job. Knowing that there are chances for advancement that will continue to carry them down their career path is important to talent. 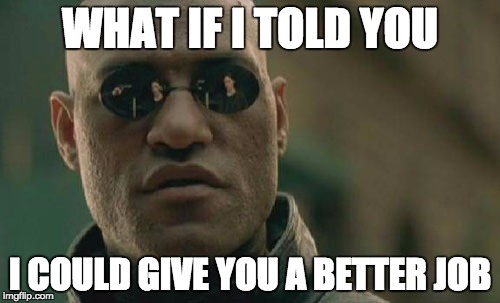 If you don’t showcase those opportunities, you’re going to limit yourself to candidates who don’t really care about being with an organization long-term. On your career page and in your job postings, include information about the career paths and training your company offers. Provide examples of how often and for what reasons employees are promoted so they’ll know what it takes to successfully work their way up the ladder. You can also include employee testimonials about their personal growth during their tenure with the company. In addition, the simplest way to show job seekers you care about their future is to openly discuss it early on. As soon as the opportunity arises have a conversation with candidates about their expectations for the future. Let them know how the company can help them achieve those goals. Explain to them how you approach training so they can decide if that will fit their learning style. And never forget to save time for them to ask you questions about how career development works in the company. By doing that, they’ll see that employees’ futures are just as important as that of the organization. And that goes a long way in bolstering your employer brand. It can be discouraging when you find out that talent isn’t falling head over heels in love with your company. But remember that your employer brand is within your control. You just have to be confident in the message you’re sending out and fully understand how it is received by job seekers. What are some other aspects of an employer brand that might disappoint job seekers? Share in the comments below!